Our 99club plan, which gives you 200 images (up to XXL size) for a year for just $99. That's right: only $0,49 per image, no monthly download limits, all Royalty-free photos ready to download and use! If you were a member of Dollar Photo Club or find that offer appealing, you definitely want to explore the great 99club! 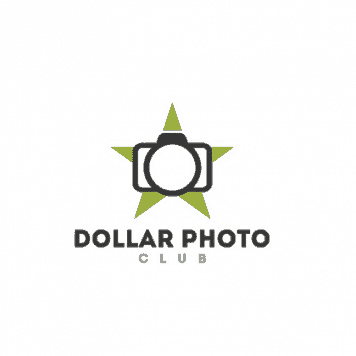 UPDATE 1st Jan 2019: DollarPhotoClub.com announceted that they will close at 15th April 2016. We have got a great Dollar Photo Club alternative post here. Check out our alternative offer here for double the downloads and same the price. Just $1 per image. Full resolution! They do not accept and new clients – get 200 XXL Stock Photo Downloads for the same price here! Do you remember the 1999 movie “Fight Club” starring Edward Norton and Brad Pitt? Well, here is the number 1 rule of the “Dollar Photo Club”: Every image just $1! But at least we are allowed to talk about it. Some people even think the name of DPC is Dollar Photo Stock but thats not true. royalty-free images, and downloads that never expire, all for $1! The Dollar Photo Club is a unique offering in today's microstock market for licensing images: Its approach is a “membership” but frankly it is basically what other sites are calling a “subscription” – pay a fixed fee and get a fixed number of images in exchange. With a major difference: The Dollar Photo Club is making an offer you almost can't reject. The price per image is a meager dollar and the minimum purchase is $10 for a single month or $99 for a whole year of access for 10 or 99 downloads respectively. This offer is hard to beat so if you need images join the Dollar Photo Club now! This is an update from August 2015. Since Adobe seems to have closed the website for any new customers, they are more after getting customers for their Adobe Stock website which we reviewed here. We highly advice to also check our alternative offer above. The search at the Dollar Photo Club shows a huge variety of images, offering customers a wide choice of different styles and content. The extended search features on the left are prominent, easy to understand and help to get to the kind of content you are looking for. 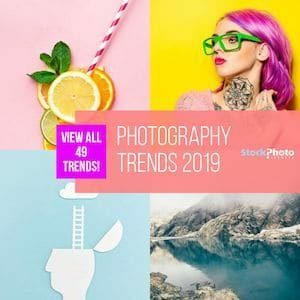 The library of Fotolia contains many millions of images, covering most popular topics – as a result, even searches for a combination of multiple terms result in a solid number of images to choose from the Dollar Photo Club Site as well. What we like most about the Dollar Photo Club is the simplified design that makes the site easy to use and understand: Most other sites are complex as they offer different sizes, different licensing options, different collections. With the simplified pricing, the Dollar Photo Club can drop all those considerations. There is only a simple choice to make between the Standard License and the Extended License, so the rest of the site is available to show relevant information helping buyers to find their ways to the images they need. The File Detail Page is actually blended in over the search results, so you can easily close that window and be right where you left the search. The detail page also shows Similar Images, so it's easy to get from one image you lime to others belonging to the same series. Make your choice and press the Download button and you get a full sized image to your hard drive to use in your designs. The Dollar Photo Club standard license covers the usual uses in commercial or editorial areas. The main limitations are a size maximum of 2,000 x 2,000 pixels for use on websites, some restrictions for use on social media sites, a print run or view (for TV/movie uses) limitation and the common prohibition of resale products. The Extended License is available for $50 per image. This offer is no longer available – get 200 XXL Stock Photo Downloads for the same price here! In the current market, the Dollar Photo Club is a unique offer in its structure: For customers needing images regularly but not daily, the annual subscription is probably the best offer you can get: $1 per image with a pretty low investment of $99, and if you need more you can easily add more downloads to your membership. The variety of content is huge, so there is a lot of potential that you find mostly all images you will need for your advertising, editorial uses or blog. At this price you do not even need a coupon code to get the cheapest dollar image prices. We hope you liked our Dollar Photo Club Review, please share your thoughts below. 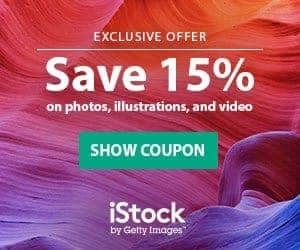 This offer is no longer available – check out this alternative offer, which will get you 200 XXL Stock Photo Downloads for the same price! 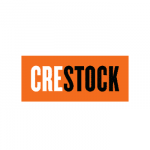 You are a stock photographer? Read about some of the issues DPC had with their contributors here. You need to clarify the TOU for Dollar Photo Club because they aren’t what you think. I’ve been through a few rounds of trying to get this straight with them, and their answers are usually more vague than concrete. But when pressed, I was told that all images used on a blog or social media site MUST be provided attribution. There is apparently no difference between a business and personal blog. But when asked specifically if there was a difference between a page and a post, even if the page is on the same website/domain as a blog, apparently you don’t have to worry about that. The whole thing is ridiculous it gives me a headache.